A residence that supports families and creates comfort. This home has two homes in one location. The main home is partially on the second level, and features an open great room. The covered patio deck is conveniently located next to the kitchen for ease of outdoor dining. 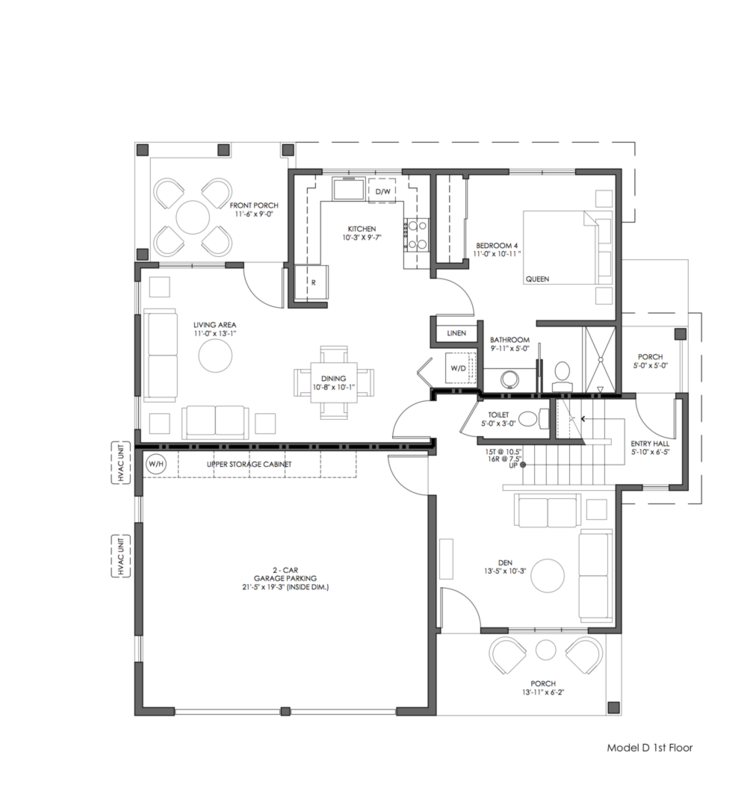 On this level there are two bedrooms, a hall bathroom, laundry room and a master bedroom suite with walk-in closet and private master bath. The first floor includes a den for the main home and entrance to the back yard and garage. A door from the den separates the main home from the second home. The second home opens to a great room with living, dining and kitchen spaces and a laundry closet. There is a spacious front porch accessible from the great room. This home has one bedroom and one bathroom. There are two Model D locations on the plan map.